We are a non-auditioning community choirs based in Oxford and the only sign signing choir in Oxfordshire. 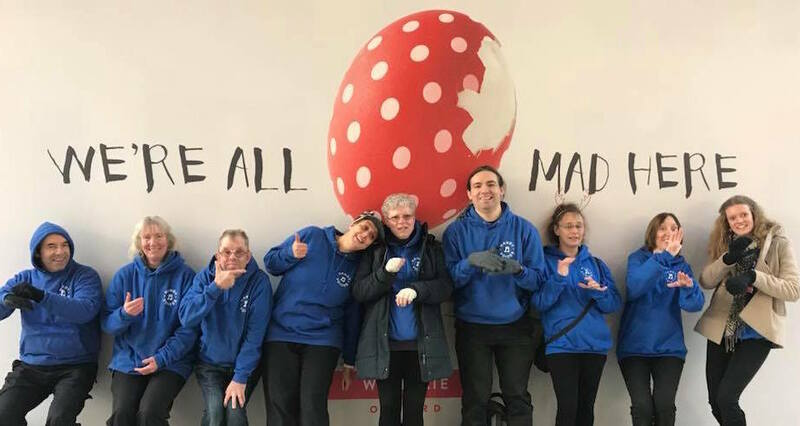 Our team is a mix of Deaf, Hard of Hearing and Hearing members which bring the joy of music to both hearing and D/deaf by adding the beauty of British Sign Language (BSL) to the songs that we “sing”. BSL is the officially recognised language of the Deaf community in the UK. To share the beauty and wonder of music to those who may hear differently. Our songs are translated by our leader, Christine DeBlase who takes each song line by line and teaches us the signs and grammar of BSL (which is very different to English). When the signs and music are put together it is very special and feels magical. We are excited to welcome new members throughout the year, so please get in touch using the contact form or on Facebook if you want more information. We are also available to booking for communication support and can offer bespoke performances and workshops at your event, school or workplace. Interested to see us in action? Why not come to one of our performances or watch our videos online?